Owing to our rich industrial experience, we have emerged as a reputed Supplier and Exporter of Whole Green Moong Dal from Thailand. The Whole Green Moong Dal offered by us is sourced from trusted vendors only. To cater diverse requirements of buyers, we offer the Whole Green Moong Dal in customized packaging options. 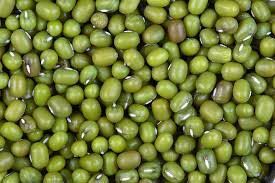 Bulk orders of the Whole Green Moong Dal are delivered by us.